Sunderland found themselves on the receiving end of some rough tactics at the weekend as a robust Wycombe team held them to a 1-1 draw. The Black Cats trailed for much of the encounter at Adams Park, equalising in a crazy period of injury time during which three players were sent off. 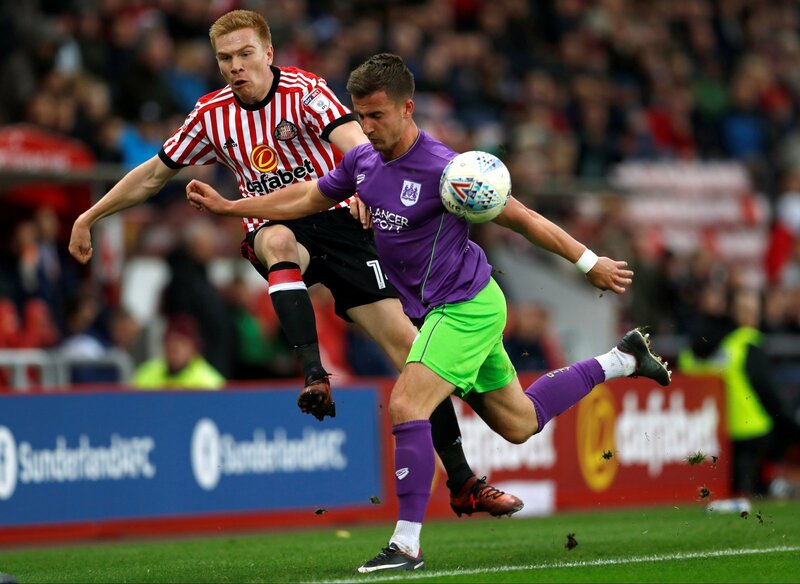 George Honeyman and Nathan Tyson were both dismissed for their roles in a mass brawl that ensued in the wake of Watmore’s equaliser, before Marcus Bean got a second yellow card for a foul on the flying winger. That tackle forced Watmore to limp off the field and he’s now a doubt for this week’s crucial match against Barnsley. Bean later apologised for the challenge on social media, claiming he meant no malice and wishing the 25-year-old a speedy recovery. Sunderland fans are not impressed at the move. Whilst there seems to be low levels of animosity towards Marcus Bean, there’s plenty of vitriol in their responses at Gareth Ainsworth and Wycombe. Here’s some of their thoughts in the aftermath of the result. You were lucky not to be sent off for pulling back O'Nien 20 mins earlier when the ref played on. The biggest disgrace about @wwfcofficial is the manager, he deliberately sends his players out to foul and injure other players as he does not have the ability to coach them to play decent football! The foul on @LukeONien after 11 min was a red card offence also! Fair play. Think you a are a decent fella, but you are all aware your manager instructed you to hurt our players so apology feels a bit hollow. I genuinely believed teams like Wycombe didn’t exist anymore. If that’s “football” no thanks. I wish you a speedy return to league 2..more bemusing is how someone with ability like Luke Onien played for them. Id like to say that apology could be accepted but given some of the tackles & incidents Wycombe were involved in today, it was all pretty much calculated & a definite game plan. This is no more than you trying to ease your conscience @MarcusBean You deliberately went to foul and hurt Duncan, now you want to tell everyone you're sorry. Part of your team's overall game plan too so clearly calculated. So take your insincere apology and keep it. Sadly your argument is undermined by the fact that tackles like this e.g. on O’Nien and Morgan we’re flying in from the first minute. It’s a team attitude for which only one person can truly repent.